Public Notice No. 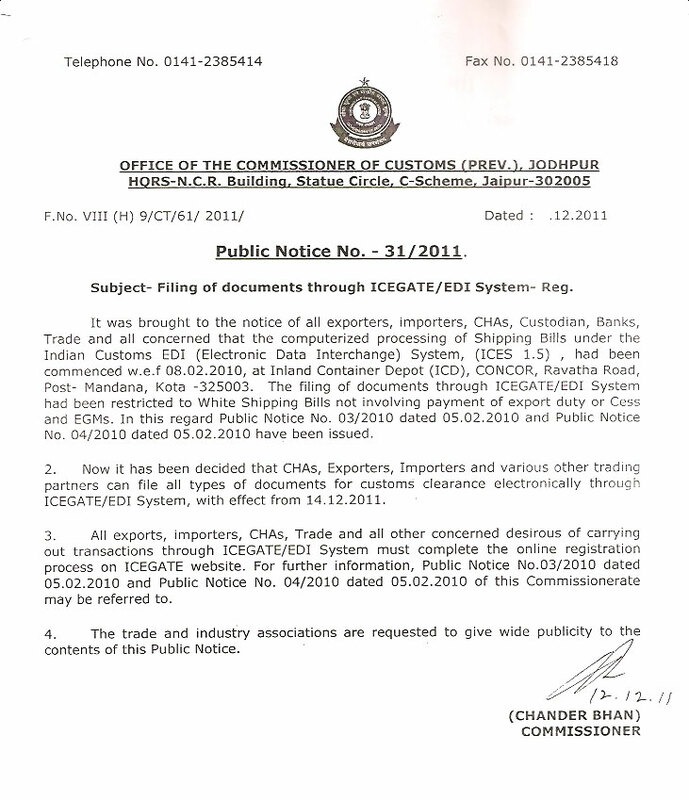 31/2011 - Filing of documents through ICEGATE/ EDI System - Reg. Public Notice No. 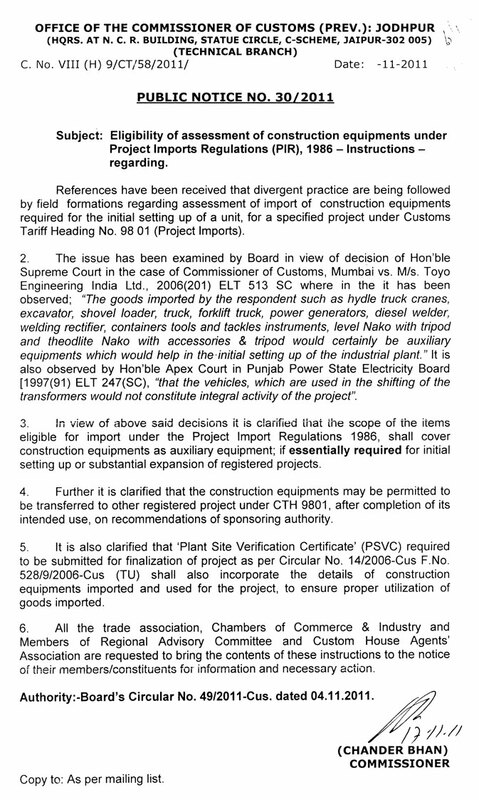 30/2011 - Eligibility of assessment of construction equipments under Project Imports Regulations (PIR), 1986 - Instructions reg.